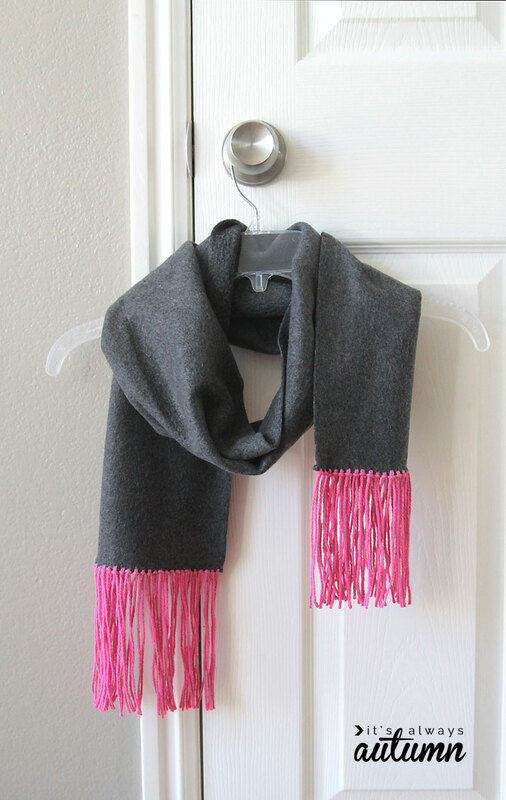 This scarf is so easy to make! As I mentioned, there’s no sewing involved. 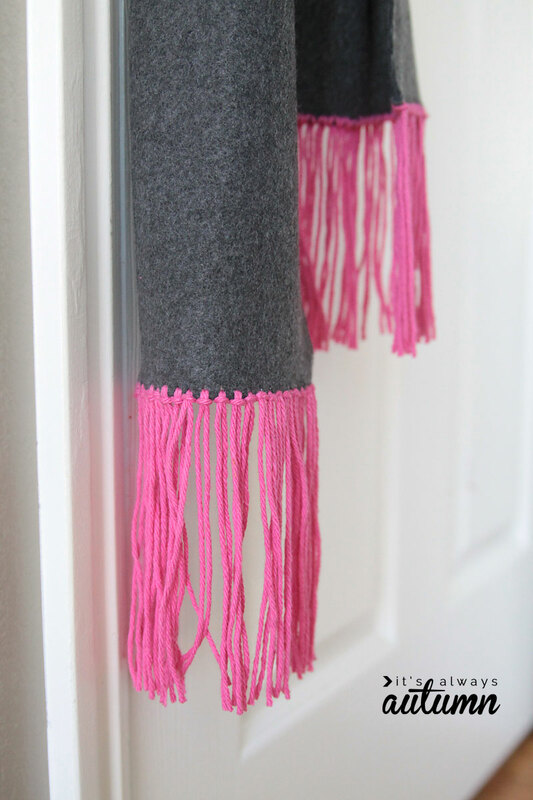 All you need to do is cut a piece of fleece and tie on some brightly colored yarn to create a trendy fringed edge. 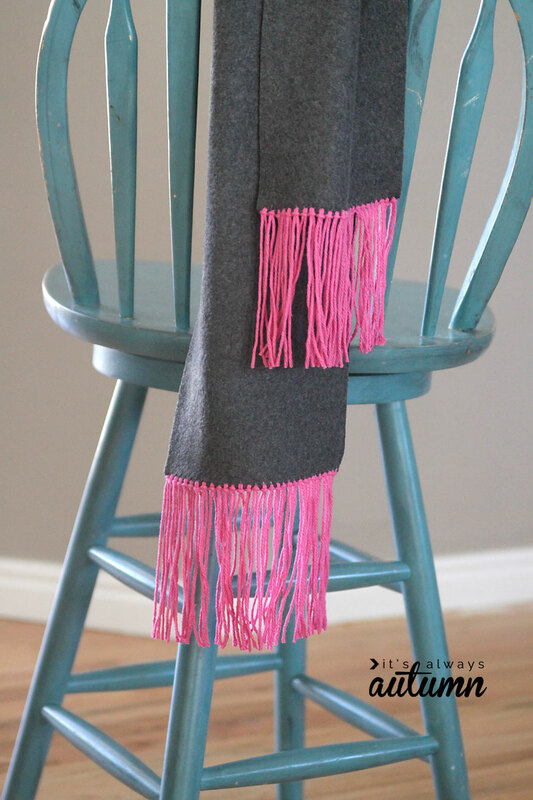 Each scarf is made using just a 1/4 yard of soft fleece, making this a very inexpensive gift, perfect for women or teens. 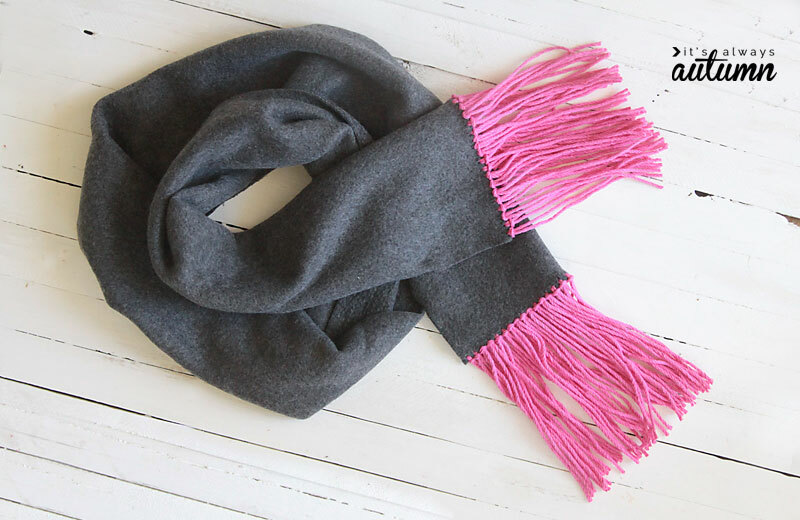 If you use a coupon to buy the fleece, you can make a scarf for just a few dollars. I love how the dark grey fleece looks with the pop of bright pink. I think a cream scarf with gold trim would be beautiful! 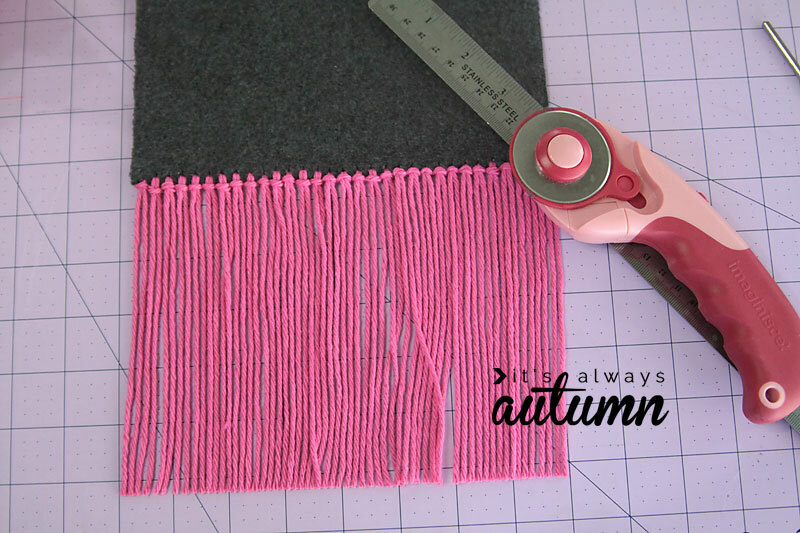 The first step to making the scarf is to get your fleece cut to size. Purchase 1/4 yard of fleece. It will be around 9 inches tall and 60 inches long. 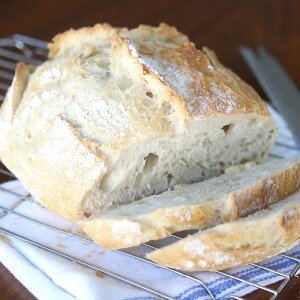 Lay it out on a cutting board and trim it using a rotary cutter to 8 inches tall. Trim off each short end, making sure you make clean cuts at right angles. The final dimensions of the scarf don’t matter too much – it will be around 8 inches wide and 57 inches long – but what does matter is cutting it nice and clean. Because fleece doesn’t fray we can leave the edges raw (no hemming!) but in order for the scarf to look professional you need nice, clean cuts. Start to finish, the scarf only took about half an hour to make! 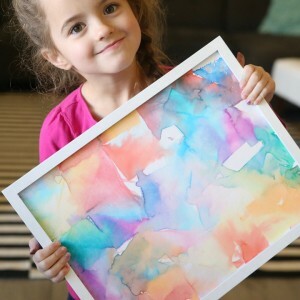 For more simple crafts, as well as sewing projects, recipes, and photography tips, head over to It’s Always Autumn. 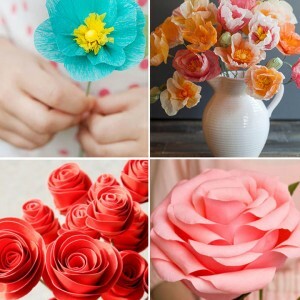 Need more ideas for handmade gifts for teens? Read the top 20 gifts to sew for teens (that they’ll actually like!). For more gift ideas that kids will love, check out 20 best gifts for boys and 20 best gifts for girls. Simply because you have to begin with the fundamentals to move on to more complex factors. This is nowhere truer than in deciding on cool pullover hoodies. 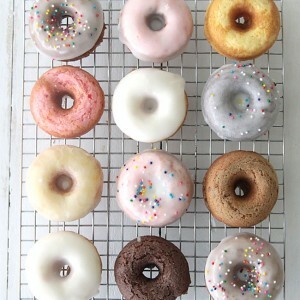 You always have the cutest ideas! saving this one too! and saw them return to our PADS dinners all winter long. Some received matching mittens. I was sooooo happy to clean out fleece and yarn leftovers.